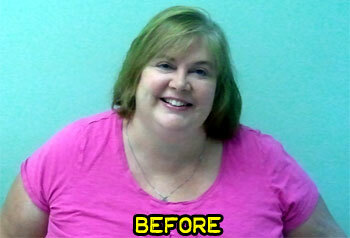 Pounds or Inches Lost: I lost 241 pounds! 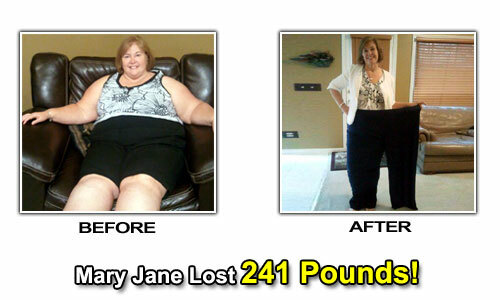 Mary Jane’s Weight Loss Story! My health. My heart began racing and beating irregularly. My blood pressure was high and I’m certain I was diabetic or pre-diabetic. Eliminating all processed food, junk foods and sodas. 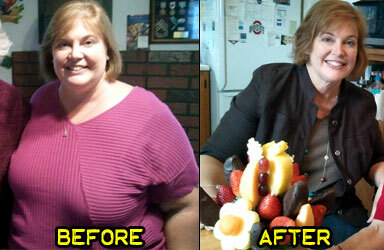 I began eating high fiber foods and following a healthy carb diet. I did a lot of exercise beginning very slowly and working up to where I am today. Not losing focus. It has been a daily requirement to stay focused on my goals. I tried to think of it as a journey and to enjoy that journey as I went through everything instead of just looking at where I wanted to be. I had immediate success just by eating right. It really took about a month for anyone else to see my progress and start to ask me if I was losing weight. I started this journey on July 22, 2011 so it is now over a year and a half. I am just beginning the maintenance program. I am using every tool I have available. 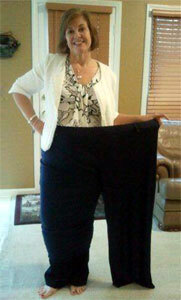 I joined Quick Weight Loss Systems to help lose the last 60 pounds. They have a maintenance program I am beginning. I’m also a lifetime member of Weight Watchers and I’m now going to their meetings for support. I also workout at a local gym and I’m hopeful that will add to sustaining this weight loss. Actually it was the recent death of my Dad. He died of complications of a lifetime of weight issues at the age of 82. I want to maintain and keep my health so I can live an active and healthy life. I have to focus daily on the health reasons I am doing this for. I do not want to get wrapped up in what my actual weight is or what size I am. The compliments that I get also encourage me and they are always nice to hear. I am finally off blood pressure medication! I have been given a clean bill of health from my cardiologist who has been one of my biggest cheerleaders. I am active with my family now. I am just happier! It is never too late to start. Just start! Look at it as a journey to enjoy. Before you know it, one day turns into one month, into one year, and then into several years. 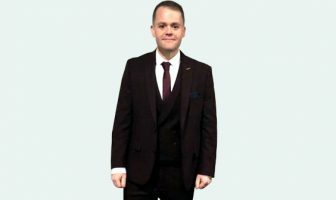 One pound loss, turns into 10 pounds and then into even more. Focus on the health benefits rather than a time frame, weight or size goal. 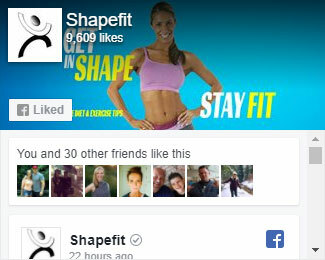 I enjoy the information on ShapeFit.com about health, nutrition, fitness and motivation! Mary Jane’s Weight Loss Tips! Stay away from white bread, white rice and white potatoes. No sodas and stop caffeine. Exercise! Begin somewhere and increase as you go. Mix it up and keep it fun. 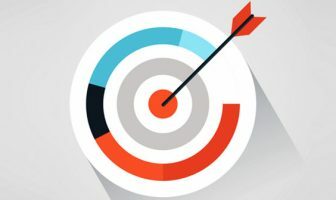 Focus on a short-term goal and then meet it and reset it. Get a support base so you have someone to talk to and share feelings with along the way. 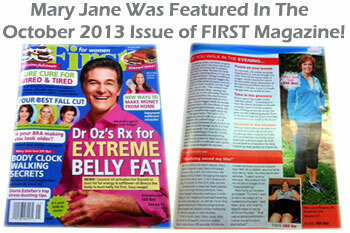 Mary Jane’s Weight Loss Eating Plan! 2 egg whites, whole wheat toast, lite butter, orange, 1 cup of skim milk. 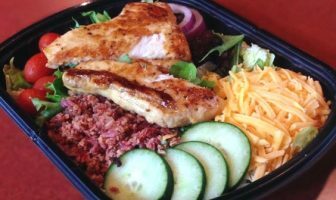 8 ounces of grilled chicken or fish with greens, salad or veggies and whole wheat bread or brown rice. Chicken, fish or turkey (8 ounces), 2 servings of veggies and a serving of bread. 2 fresh fruit snacks, yogurt. Protein bar and a protein snack per day. I have one in mid-morning and one in mid-afternoon. I take a multivitamin once per day, EFAs and KLB-5 supplements 3 times per day. Mary Jane’s Weight Loss Workouts! 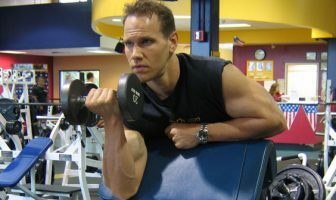 I wish I had done more weight training early in my weight loss journey to avoid excess skin issues I face now. I would do home workout videos 3 times per week. Now I go to the gym 5 days per week and I do 30 minutes on different weight machines and I also do Body Works abs classes. Daily walks increasing in length and intensity, playing tennis, water aerobic classes and riding the stationary exercise bike. 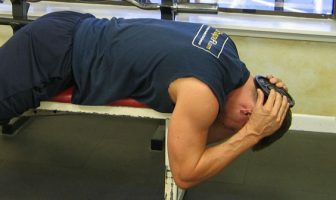 Now I go to the gym at least 5 times per week and do at least 30 minutes on the elliptical machine, spinning classes and Zumba classes. I try to keep it interesting and do something everyday.